Popping out to a tennis match is normally a one-afternoon affair. But over the years, some tennis matches have been so long that a cricket match could have ended sooner. Today, we’re taking a look at four of the most enduring games of all time. This first-round battle didn’t hog any of the headlines in the build-up. However, it did grab all of the spotlights after the game hadn’t finished on the third day of play. John Isner was eventually able to beat Nicolas Mahut after 11 hours and five minutes. 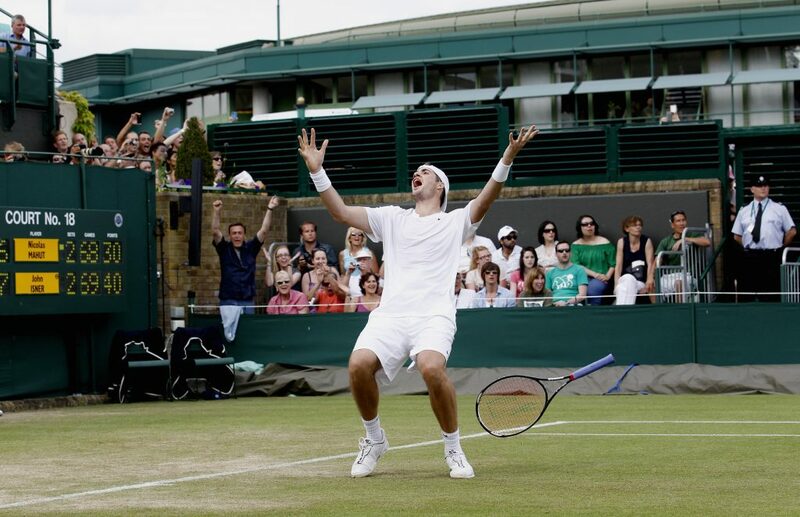 Isner claimed the spoils in the gruelling fifth set, 70-68. A plaque was made in honour of this match, which has gone down in history as the longest ever. As ever, the game could only end with one official victor, but on this day, the defeated Mahut was no loser. The Frenchman carried himself with distinction and contributed greatly towards this memorable contest. Winning these exhausting games doesn’t necessarily pave the way for success at the end of the tournament, though. Isner may have won this fixture but is never a favourite in Wimbledon betting. The players who are involved in these matches, however, are never forgotten. USA’s John Isner celebrates victory over France’s Nicolas Mahut in their record-breaking match. If ever there was going to be a titanic shootout in a tennis match, it was going to be in the Davis Cup. The premier international team event produced a game for the ages in 2013. Only after seven hours were the Czech Republic able to beat Switzerland 24-22 in the fifth set. For hours, none of the two teams looked like losing. The public’s interest swelled as the two nations looked inseparable. The Czech Republic duo of Berdych and Rosol were in formidable form and would claim the 2013 Davis Cup title. Switzerland were able to get their reward and win the Davis Cup a year after this epic encounter. The French go into the next Davis Cup as favourites in tennis betting, but will there be another tortuous contest next time around? The Davis Cup is famous for digging deep and not surrendering. In 2015, the Davis Cup produced yet again with regards to one of the longest matches recorded. It was in the singles arena where Leonardo Mayer won the battle of attrition against Joao Souza. In a match spanning almost seven hours, Mayer was finally able to see off Souza on his 11th match point. Mayer hadn’t capitalised on his ten previous match points, leading many to believe he may have blown it. That wasn’t to be this case as the Argentine eventually got the job done. The emotion was there for all to see at the end. The fifth set had lasted an unprecedented 2 hours and 30 minutes. None of the players in this first-round tie at the French Open was going to give it up easily. It would take two days before a winner was crowned. Santoro was the fortunate Frenchman to progress at his compatriot’s expense. At the time, this game broke the record for the longest tennis match. Santoro expressed his delight and commented on how amazing the crowd was. Carrying on, Santoro said that he was happy to be able to play six hours of tennis at his age. Frankly, I don’t give a damn… If I’m not getting anything, I’m not interested. Unfortunately, the optimism and joy was not shared by defeated compatriot Clement. Speaking after the six-and-a-half-hour match, Clement was asked how he felt about the record him and Santoro had set. Not holding back, Clement said “Frankly, I don’t give a damn; what world record? Do I get a medal? If I’m not getting anything, frankly, I’m not interested”. Not everyone involved in these world record matches sees the point in playing so long only to lose. But as tennis fans and bettors, at least we are excited.